The Aluminium Compact Transport Chair features an extremely lightweight frame and folds in seconds for easy storage and transportation. Also features deluxe padded upholstery, front and rear puncture proof solid wheels and the backrest easily folds down. Available in Black, Red, Pink and Blue. The Aluminium Compact Transport Chair features an extremely lightweight aluminium frame and folds in seconds for easy storage and transportation. Features deluxe padded nylon upholstery, front and rear puncture proof solid wheels and the backrest folds down to ensure a compact fit in your car boot and weighs just over 10kg (including leg rests). 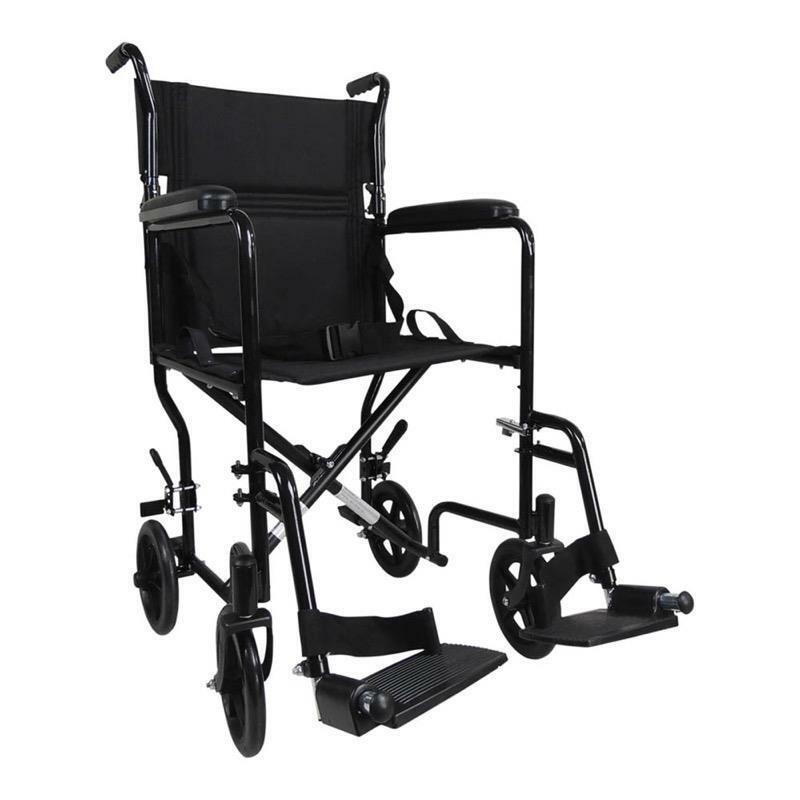 Supplied with a lap belt for extra security and detachable, adjustable swing away footrests . Available in 4 colours - Black, Red, Pink and Blue.